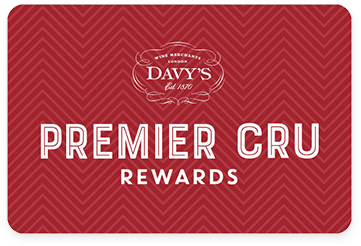 Premier Cru Rewards - Purchase this today and earn 68.85 points to redeem for free wine and gifts. Château les Hauts Conseillants is the dream of a tenacious man, Leopold Figeac who decided to restore this 4ha estate in the 1970s. All his efforts have been justified since the estate is now well regarded within the appellation. Ripe plum, raspberry and black cherry flavours with hints of licorice and tobacco. The palate is round with a good structure and mature tannins. Château les Hauts Conseillants is the dream of a tenacious man. In 1973, Leopold Figeac decided to restore this 4ha estate located in Lalande de Pomerol. Later he purchased another 6 ha with his daughter and son in law and today the domaine is run by his grand son Jean Baptiste Bourott. All his efforts have been justified since the Les Hauts Conseillants is now well regarded in the appellation. The Figeac-Bourotte family also own Château Bonalgue, Clos du Clocher and Chateau du Courlat. View our selection. The 10 hectares of vineyards are planted with Merlot and Cabernet Franc. The wine usually spend 15 months in French oak barrels of which a thrid is new. They produce approximately 50,000 bottles a year. At Davy’s we pride ourselves on our service levels and strive to offer a first class service. We follow up every order to make sure you’re completely happy and that your wine has arrived in perfect condition. Should you have a query or problem please contact a member of the team who will be pleased to help on 020 8858 9147 or email orders@davy.co.uk. Your satisfaction is paramount so if you haven’t enjoyed a wine we want to hear about it. Delivery is FREE FOR ORDERS OVER £100 to a single UK mainland address*. All other orders are charged £9.95 per UK mainland delivery address*. Excludes items purchased in bond where delivery will be charged at cost. FREE LOCAL DELIVERY, available when you order six bottles or more, or over £75, to a single address (includes SE10, SE3, SE7, SE8 and SE13). Please call the customer service team on 020 8858 9147. Please allow up to 5 days for delivery. For orders required in less than 5 days, our standard terms apply. When placing your order you can request for wines to be signed for when delivered or left in a safe place if a specific instruction is given. Please note that we cannot accept responsibility for any subsequent loss or damage which occurs once the consignment has been left. Wines ordered before 12pm should be delivered within 48 hours (working days). If for any reason this is not possible, we will contact you to let you know. Sale or return is available. All goods returned must be in a reasonable condition and only unopened cases will be accepted. A minimum collection charge of £7.95 will be applied to all sale or return orders. Any damaged bottles must be reported within 48 hours of delivery. A full refund will be given on receipt of the damaged bottles. Orders may be cancelled up to seven working days from receipt of delivery provided that all wines are unopened and in their original condition. To cancel an order customers should contact the Customer Service team on 020 8858 6011, fax details on 020 7716 3366, or email orders@davy.co.uk. It is your responsibility to keep the wines safe and in their original condition until collection is made. In the event of customer cancellation full refunds will only be given if we are notified at least 7 days before the date of the event. Refunds will only be given after this time if we are able to re-sell your tickets. In the event that a tasting is cancelled, Davy’s shall offer customers a full refund.